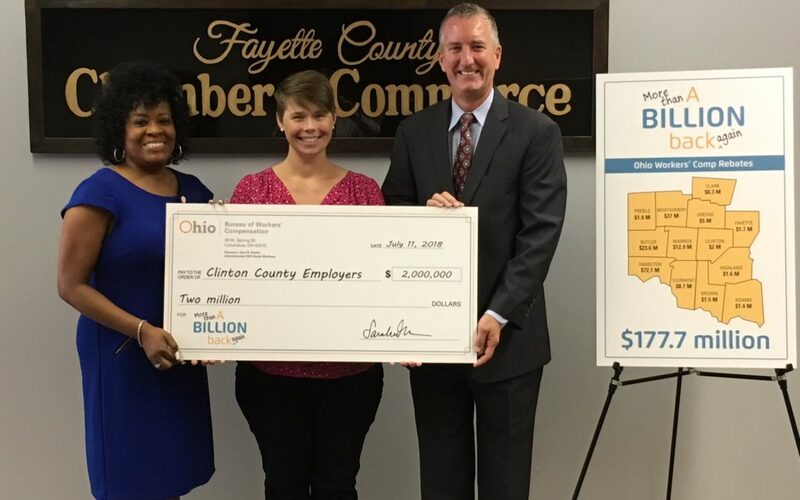 Employers in Highland, Fayette and Clinton Counties can expect $5.2 million in rebate checks this month from the Ohio Bureau of Workers’ Compensation (BWC), agency officials announced on Wednesday, July 11th, during a visit to Washington Court House. The checks are part of a $1.5 billion rebate to Ohio employers this summer, BWC’s fourth rebate of similar magnitude since 2013 and the agency’s largest in 20 years. The rebates are possible because of the agency’s healthy investment income, falling claims and prudent fiscal management. The rebate brings workers’ comp savings for all Ohio employers to $8 billion since 2011. 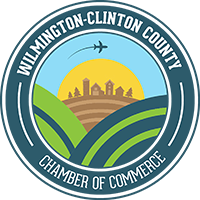 Dessie Rogers, Executive Director of the Wilmington-Clinton County Chamber of Commerce, said the rebate will be a boon to the region’s economy. Rebate amounts going to individual public employers by county are here. Rebates for specific private employers are not public record. The rebate also includes several safety initiatives BWC announced at press conference last month. The $44 million investment over two years includes $8 million in safety grants for law enforcement and to improve school safety and security.